Give her casual dressing a wild edge with this T-shirt. 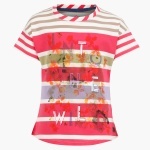 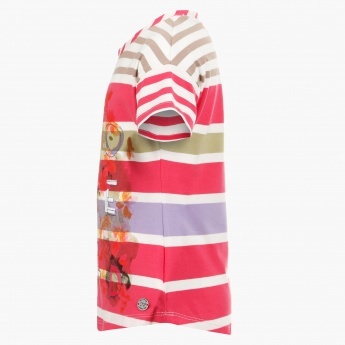 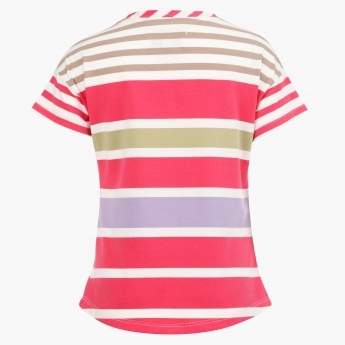 It features bold horizontal stripes, applique on the front, a round neck and short sleeves. She can wear it with denim cutoffs and plimsolls for a trendy look.